Running and cycling apps take workout precision to a whole new level, while adding the element of community. Gone are the days when you would put on your Garmin watch and just track your mileage and speed. Granted, that was a huge leap forward from where we were before then, but nowadays you can be even more precise and connected. It is a gamechanger, especially for those who are motivated by social pressure and a competitive drive. 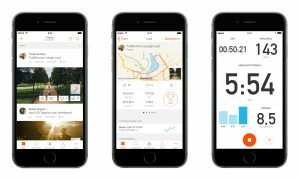 We wanted to look at the four apps that we hear the most buzz about and compare them head-to-head for both running and cycling. Here is what we found. Strava is huge in the cycling world. That is not to say it doesn’t also do a great job for runners, but cycling is where it got its first traction, and where it is a dominant app today. hundred meters to several miles long and is a time trial of sorts. You can see how you rank on a daily, yearly, or all-time basis compared to all the other Strava users who have done the same segments. Additionally, the Strava Challenges are designed to award digital badges if you meet the challenge criteria. Examples include the monthly ‘How far can you ride?’, ‘Run a half marathon’, and climbing challenges for runners or riders. Oh, and we have to bring up the fact that the Strava app doesn’t drain your phone’s battery, which is amazing for those long rides and runs. Social-wise, Strava lets you connect with athletes from all around the world. You can become friends, follow other riders or runners, give them kudos, or comment on their rides and runs. They can also return the compliment and follow you. Furthermore, that you can create online Clubs and invite your friends. Each week, Strava will calculate which club member has ridden the furthest, climbed or ran the most, ridden the single longest rides, and so on. And you’re not limited to the Strava social platform; you can actually share your results via social media platforms such as Facebook. A great feature of Strava is the Heatmap, that allows you to see where other locals ride or run. 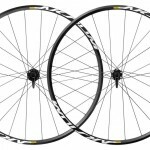 This is very handy for finding a good route especially when you’re riding or running on unfamiliar terrain. The FlyBy feature is another awesome one, letting you interact with fellow riders and runners on your route or find out a bit about them if they choose to make their data public. Hence, whenever you see someone blow past you, you can use the FlyBy to get in touch or check out their public data. In essence, Strava is what the tech-savvy call a social fitness app. It’s a lovely combination between a GPS logging tool and a social media app. It does a fantastic job of tracking metrics and offers data visualization by emphasizing various aspects of the overall experience. While these are not exactly unique in the world of training tools, the social community and competition focus set it in front of other similar apps. Therefore, Strava is the ideal choice for those of you who want to connect with fellow athletes, share your metrics, and compare your scores. And although its premium version offers some nice extra perks, we consider that the free membership consists of all the features that you might need for recording and comparing your results as well as keeping in touch with the community. 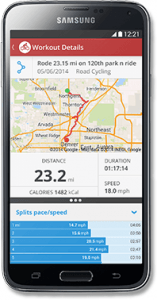 As their names suggest, MapMyRun caters to runners while its sister app, MapMyRide, is designed for cyclists. Each one is popular for its own niche and both have managed to become among the top tools for those looking to keep count of their metrics. In terms of features and interface they’re pretty similar, so we’ll analyze them at the same time. What’s cool about these apps is that they let you track unlimited mapped routes and have a great online route creation toolset that makes the entire process easy and quick. Besides that, the maps are exportable to GPX, and the apps allow you to either share maps and routes or keep them private. The route overview screens are straightforward and include the rating of elevation gain stats and climbs. In terms of route building, you can go for the blank starter map, browse through other user-generated maps, or redo your previous routes. When you create a brand-new route, you can set your start location and the type of ride or run (road, mountain, and so on). The zoomable, pannable maps are loading and zooming in a jiffy and you can move them effortlessly. The route creation tools do exactly what you expect them to do and flawlessly track the roads. Plus, it’s easy peasy to go back and correct any mistake you might make. The total route mileage is nicely displayed in real time and you can also use the elevation graph and elevation total screen. Once the route is completed, you can store it, print it, export it to a GPX file, and even share it on social media platforms like Facebook and Twitter. This is a great way to explore and compare possible runs or rides, before heading out for your workout. In comparison to Strava, MapMyRide and MapMyRun don’t emphasize competing with fellow riders or runners. The only thing close to that is the Challenges section, where you can either create challenges and invite your friends, or join challenges created by sponsors that offer some prizes. The apps are more concerned with recording your personal achievements and rewards, which helps a lot when it comes about long-term performance improvement. On the downside, the apps’ feature that lets you relive your ride in 3-D isn’t particularly useful for most athletes. And even if MapMyRide and MapMyRun are pretty battery-friendly, they still drain it considerably faster than Strava. Regarding the interface, even if it’s eye-appealing, it does have ads, which other similar apps (such as Strava) don’t. Overall, MapMyRide and MapMyRun are full-service apps that you can use to plan your cycling or running route, visualize data, and share your metrics. They’re not that great at the community side of things, which can be a pro or a con, depending on your preferences. The basic free features offer plenty of functionality for most riders and runners, but dedicated athletes will most likely need services like audio coaching, training plans, and nutrition elements which are only available with the paid (MVP) versions. 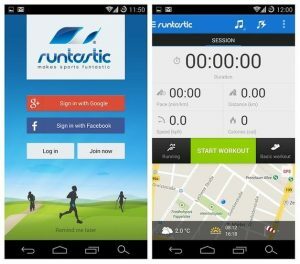 Runtastic is undoubtedly one of the most renowned running, cycling, and fitness apps out there. Briefly, this tool offers you an awesome map feature and lets you see a plethora of metrics like pace, overall distance, calories, as well as your monthly progress. Now let’s take a more in-depth look at Runtastic’s functionality. As you open the app, you have all your activities listed on the screen. When you click on one of your previous activities, you can visualize the map with your route, the distance you ran or ridden, the time, the number of calories you’ve burned, your average pace, max speed, and more. Hence, in the free version of Runtastic, you basically have all that you need to track your data. Once you’ve completed your run or ride, you can see an average metric breakdown, you can add a picture, notes, equipment information, etc. Another lovely thing about this app is that it gives you constant audio updates on all the relevant data, such as pace, distance, and elevation. The tricky part is that you get these updates only during a certain amount of mileage until you get invited to install the pro version. On the home screen, Runtastic displays a comprehensive newsfeed. And if you connect with other people, you can see their runs or rides, you can like their progress and interact with them. Therefore, the app has a decent social community feature. Runtastic is really easy to use: you simply need to launch it and hit start. Moreover, the GPS is super accurate and works really well, which means that you won’t have to struggle with changing any settings or updating any data. In short, it’s an app with a simple interface, nice functionality, and helpful features. While you can use it for cycling, fitness, and other related activities, it seems to be best performing for running sessions. 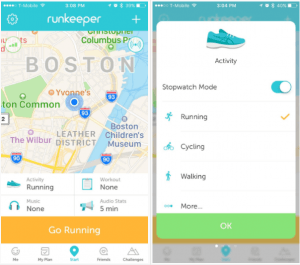 If you’re a runner, rider, or walker, you’ve certainly heard about Runkeeper. This app is very similar to many tools on the market in terms of functionality, metric recording, GPS tracking, and other useful features. What sets Runkeeper apart is that it offers audio announcements on its free version, while most other apps have them available only for paid versions. Another extra feature offered by Runkeeper is the Pocket Track that, once enabled, automatically tracks your movements without you even having to start an activity. In addition, Runkeeper integrates with the iOS Health app, which is pretty important for iOS users who want to track all their activities. In short, Runkeeper accurately tracks your location, allows you to see the live map, and, once you’re finished, you can check out multiple metrics: distance, time, pace, calories burned, and so on. All your activities will automatically save the data and you can tag fellow runners or riders, add notes, and upload photos. While the app isn’t extremely economical with the screen space, it does have an aesthetically-pleasing interface and it’s also user-friendly. Furthermore, it has a social component which lets you see your friends’ activities. All in all, Runkeeper excels especially for running sessions and is great for keeping track of all your records in one place. If you are all about cycling, you really can’t go wrong with Strava. 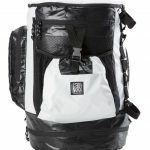 It seems to have built a healthy head-start in the world of cycling, and the cycling community that uses it is already large and growing. The interface is excellent, too. 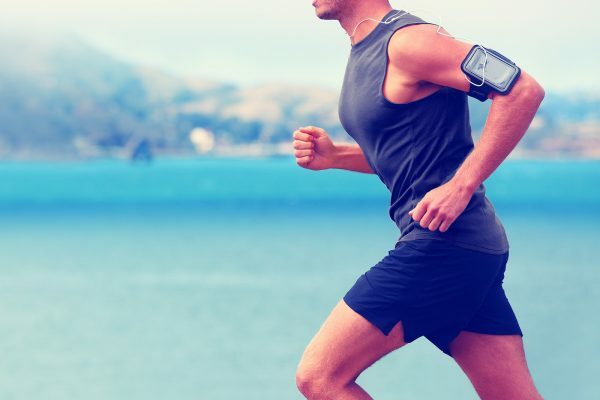 If you are going to use the app for running, you may want to consider options like Runtastic and Runkeeper, which offer you all the features that you need to monitor your progress. Both are highly-appreciated, have a solid user base, and have proven their reliability over time.